Car insurance has become a necessity due to the great number of road accidents that take place on the streets of India. It has been made compulsory in many states. A car owner is expected to have insurance for his vehicle. Bajaj Allianz is one of the leading insurance companies of India. Why Bajaj Allianz Car Insurance Renewal? Bajaj Allianz carinsurance renewal is available not only for private cars but also for commercial vehicles. A car insurance document is the most essential of vehicles as it protects the policyholder against financial loss and legal issues. There are a variety of plans that are offered by Bajaj Allianz that take care protect a person against physical injury, bodily death/injury and cover against third-party liability. This brings security and peace to the policyholder. In addition to providing a number of different plans, the claims process provided by the insurance company is also very fast. l The company has a specialty in serving claims as fast as possible. l The plan covers both third party liability as well as own damage liability under the same plan, a number of other options are also available from customers. l Cashless claims settlements are done across fifteen hundred workshops. If the cashless claim is not an option then the company recompenses seventy five percent on account of payment. l The insurance plans can be bought both online as well as from a the company itself. l The company provides 24*7 emergency assistance for all it’s customers. l No claim bonus given up to 50%. l Private as well as commercial cars are insured under this policy. l New as well as old customers can avail lock and key replacement cover. l Add-on covers comprises of conveyance benefit, accident shield, and consumable expenses adding increased protection to the customer. There are various ways in which a person can apply for Bajaj Allianz car insurance renewal plan. The policy can be filled on the company website where an individual need to fill up a form and request for a call back from the company. 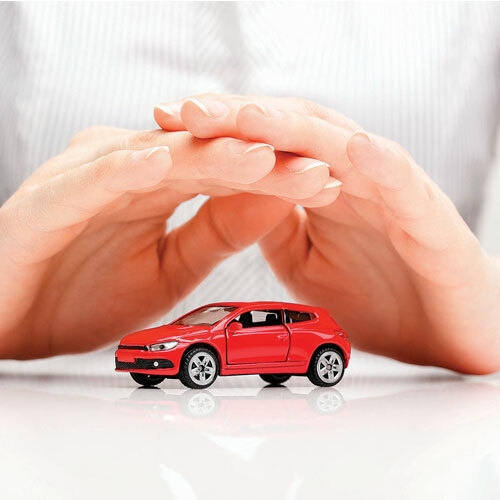 Buying the car insurance policy online through other insurance sites are also possible. Bajaj Allianz car insurance renewal can also be bought through branches of the company or through agents. You may like to read : Are You Confused And Unable To Decide Which Insurance To Choose While Buying A Car? As a person applies for the car insurance, the policy premium is decided upon the type of car that the policyholder has. The cars are divided into three categories - namely A, B and C.
‘A’ type of cars are the cars that are bought newly and are the slightly expensive sort of cars. The premium for cars such as a newly bought BMW model 1 series car is about Rs. 57,371 for an insured declared value of Rs. 18.81 lakhs. ‘B’ type cars are the second-hand cars that a policyholder has bought. Cars such as a Chevrolet Cruze 2.00 Ltr, with a registration dating back to 3 years ago will have an estimated premium of Rs. 16, 389 at an insured declared value of Rs. 564, 470. ‘C’ type of cars are those that a policyholder buys as a gift for another person such as a Honda Amaze. The premium for this sort of car is Rs. 16,863 for an insured declared value of Rs. 498,556. The Bajaj Allianz car insurance renewal claims process can be completed in three easy steps. Firstly, the policyholder needs to register their claim request with the company. This can be done through calling the company. After registering the claim, the policyholder will be given a claim reference number that they have to keep in mind for future references. The car is then sent for repair at one of the authorized workshops by the insurance company. The car is surveyed in the workshop and an estimate of the damage repair is given to the company. The company then goes ahead with repairing the vehicle. The only money that the policyholder has to pay is the difference in amount of the claim.